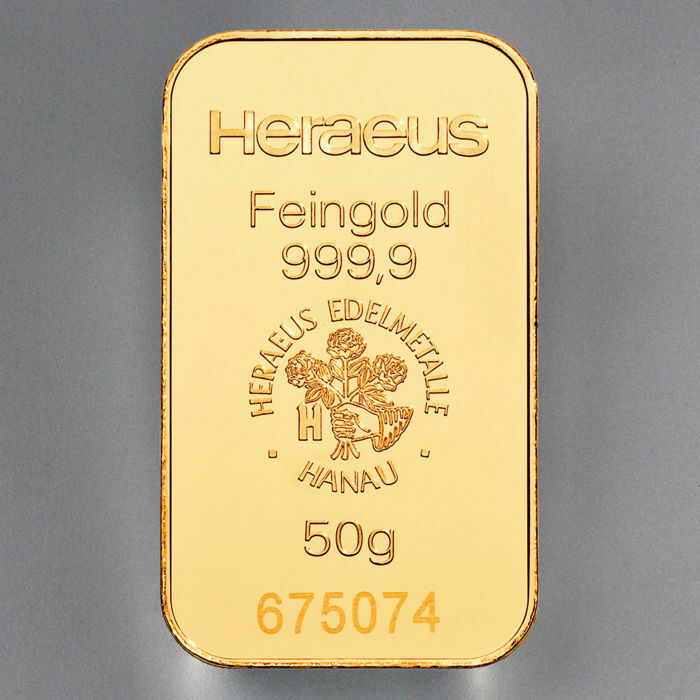 50 g Heraeus gold bar - 999.9 fine gold - investment gold bullion - mint condition. 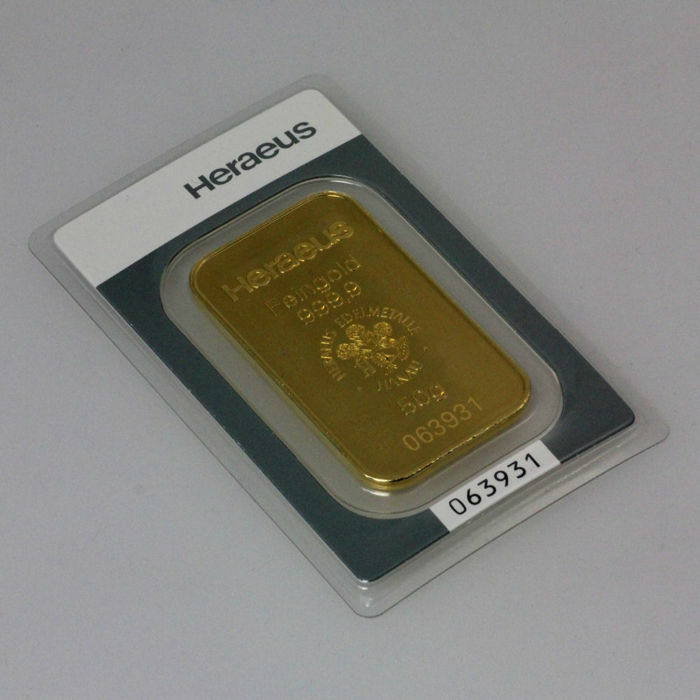 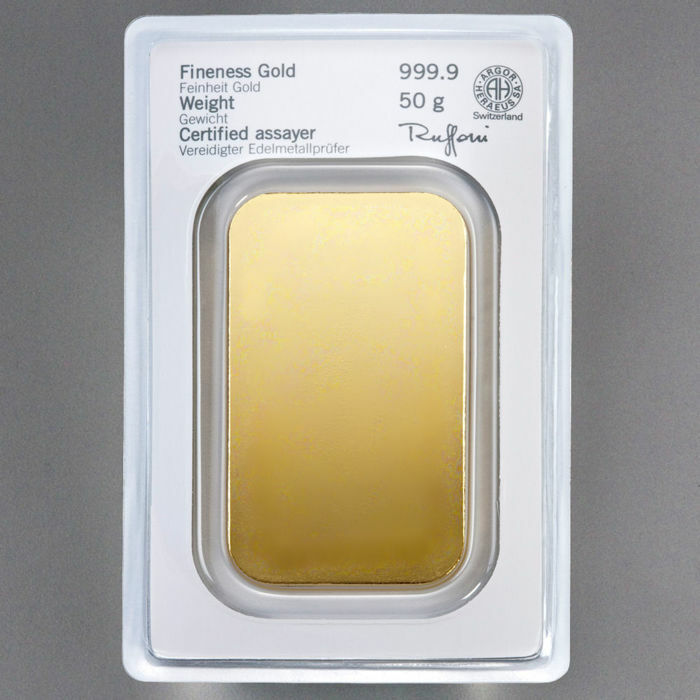 50g gold bars from the German manufacturer, Heraeus. 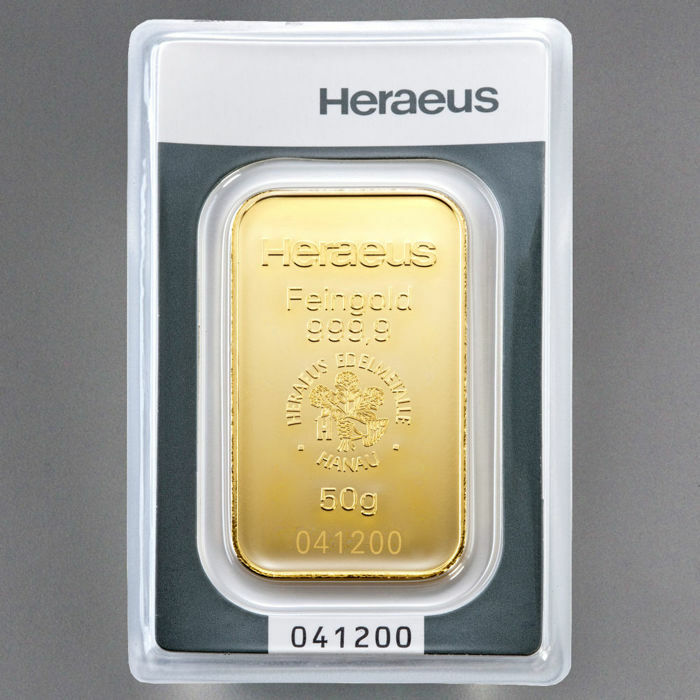 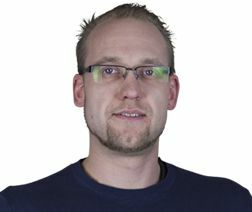 Bar number is different from the one of the photo as we currently offer several bars.